An expanded and refreshed edition of a 2002 action game called Gungrave, which has been published on PlayStation 2 and based on an anime series under the same title. This remastered edition has been designed to support Virtual Reality headgear. Gungrave VR is a remastered and expanded edition of a 2002’s action game called Gungrave, which has been published on PlayStation 2. Developed by Iggymob, the game has been designed to support Virtual Reality headgear and, among other platforms, is available on PC and PS4. The story in Gungrave VR includes not only the plot known from the original installment but also the one from the sequel, namely Gungrave: Overdose. Moreover, the game described herein has been enriched with several new storylines. Gungrave VR for PC and PS4 takes players to a city ruled with iron fist by an organization known as Millennion; the streets are full of criminals, which are fueled by a mysterious drug called “seed”. The action of the game starts when the main protagonist of the game – the titular Gungrave – is brought back to life fifteen years after his death. The main protagonist, previously known as Brandon Heat, has been murdered by his best friend Harry Macdowell. He was brought back to the world of the living by Mice – a daughter of former Millennion’s director, Big Daddy, who has been murdered by the same person that killed Gungrave. A player is tasked with avenging the protagonist’s death and stopping Harry before he puts his evil plans into action. The gameplay mechanics in Gungrave VR for PC and PS4 do not deviate much from the general formula of this video game genre. 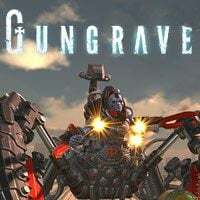 Gungrave VR is a hybrid of an action game and spectacular shooter, in which one observes the action from the third-person perspective (TPP), however, in combat, the camera switches to the first-person perspective (FPP). The gameplay revolves around exterminating the hordes of enemies using a wide range of weapons – among the available weapons of destruction, the most recognizable are the two revolvers wielded by the main protagonist simultaneously. Moreover, Gungrave uses a metal coffin, in which he stores weapons for special attacks (rocket launchers, machine guns). He can also use the coffin to attack the enemies or cover himself from the bullets. The main protagonist can also utilize the so-called Graveyard Special, which is a unique execution he can perform on the encountered bosses. Gungrave VR for PC and PS4 has been based on the Unity technology, which allowed the developers to deliver decent quality visuals. Players are bound to appreciate the fact that nearly any element of the environment can be destroyed, which makes all the battles even more spectacular. The game has been optimized to support Virtual Reality headgears, thus a player can freely look around by moving his head. What is also worth mentioning, the game has been developed in cooperation with an illustrator Yasuhiro Nightow and a composer Tsuneo Imahori, who both have also worked on the original installment of the game.